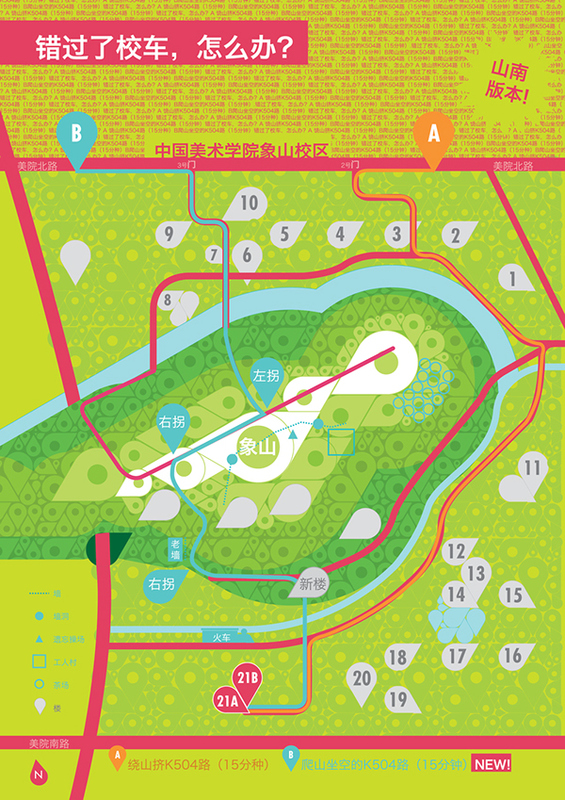 The Map marker maps infographic series is my post-graduation project in China Academy of Art's graphic design master program. 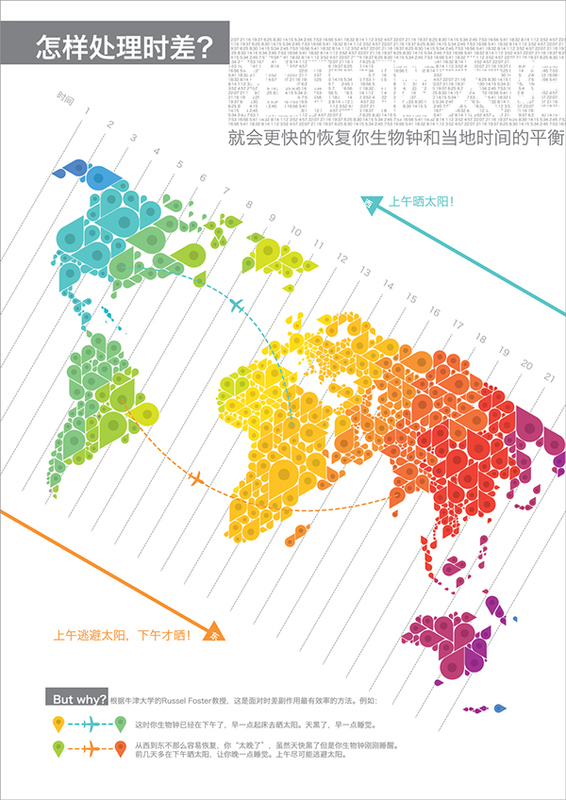 It is also a result of all the research I did in two years in order to write the thesis, The map language renovation in contemporary graphic design, under the guiding of my advisor, Professor Wang Xueqing. Using the map marker as a basic element I tried to recreate the way we see the world in maps, with no (or at least "different") borders, transforming every place into a seach result, and the search results in the map itself.The color palette, almost naturally, drove me away of critical or sad themes, and I ended up with a series of ingenuous maps with very practical themes of my daily life, moved by no more than the pleasure of explore and connect to those places in a simple way. 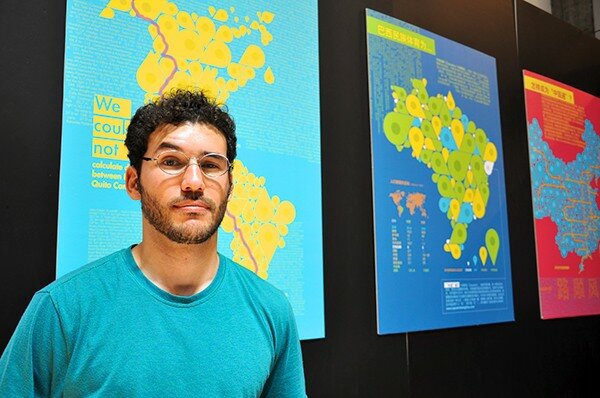 (Despite all my efforts to avoid any kind of ethnic elements, most people said "the colors are so brazilian"). The scale varies from the world map to continents, countries, as well as the city and the campus I was living in. I wanted to see maps a little bit as we all did when we were children: a bunch of colors, forms, places to go, and also explore it with little or no concern about culture and geopolitics. Hope you enjoy the ride! "Map mark it, and you'll know it!" is a joke with "Baidu it, and you'll know it! ", the chinese equivalent of western "Google it". "How to deal with jetlag?" Infographic based on the TED Talk by Professor Russel Foster about the theme. Seek morning light if you go west, avoid it if you go east! "Ask Google: can I cross The Americas by land?" A Google map search I did with the frustrating result of "no data" on how to cross Colombia from Panama or Ecuador. "How far can I go by train?" In theory, from Portugal to Vietnam, extendable to Singapore if you get a bus to Thailand. "What's the national sport of Brazil?" 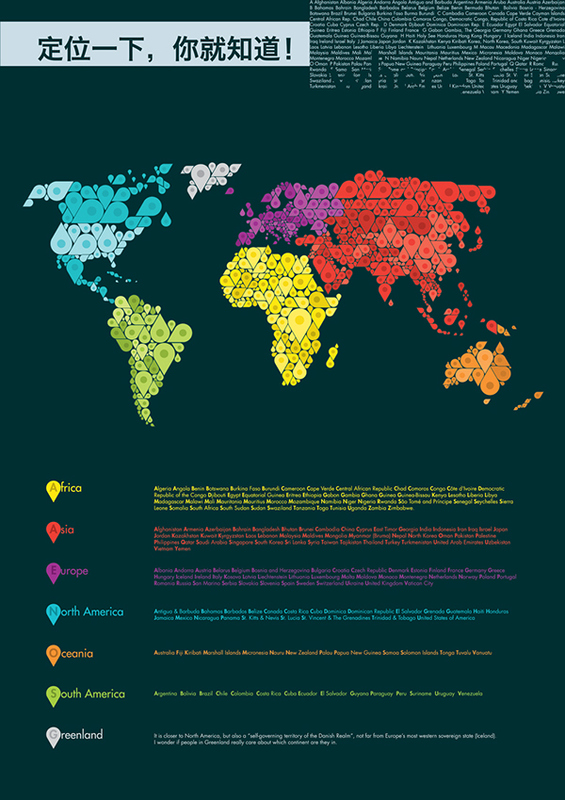 This is the most "cultural" infographic in the series, a kind of answer to everyone who expect me to play nice soccer just because I'm brazilian. 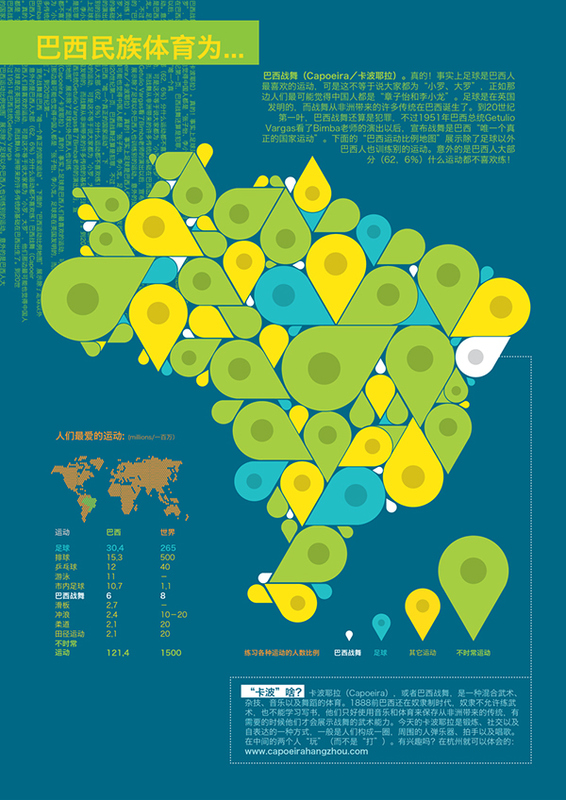 The colors represent the amount of Brazil's population that practices different kinds of sports. Which color represent soccer? Green, right? No! Step by step: white goes to capoeira (which was actually developed in Brazil, and it is the national sport in this sense), blue goes to soccer (the sport people practice and love the most), yellow goes for all the other sports and green, well... Green is for everyone that does not practice sports regularly. Didn't see that coming. "How to become a 'China expert'?" Chinese language is ultra contextual and, more than any other language I've learned, full of cultural, historical idioms. So one needs to travel a lot, in the medium that give you an affordable price and also good environment and speed for long conversations with the locals: the trains! 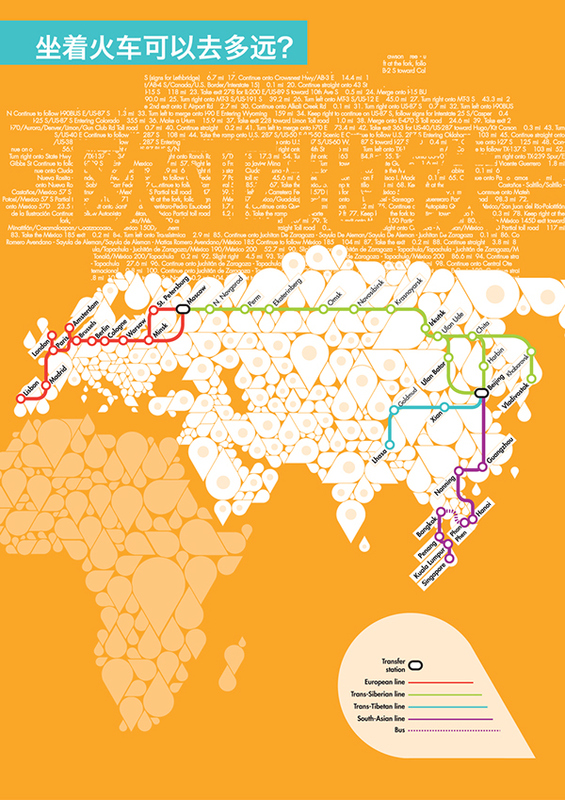 This should be China's railway map by 2020, with all provinces connected by highspeed rail. "Hangzhou obviously loves music!" 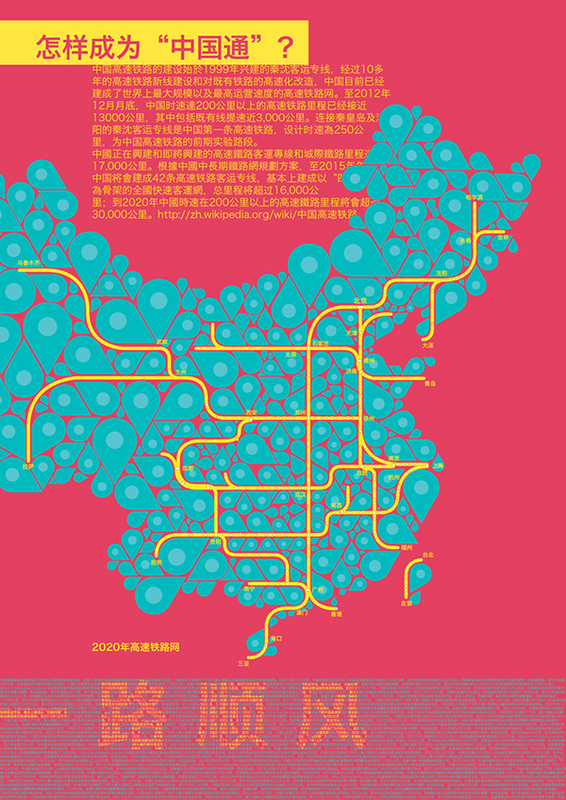 Hangzhou is a very artistic city ( that's where China Academy of Art is) and music is, literally, in every corner, so I made this map via Baidu (the Chinese Google) and I gave different colors to each kind of "musical place". Green: schools; blue: music shops, red: studios, orange: live music, yellow: karaoke. As you can see, it's easy to find a karaoke, and kinda troublesome to find a studio to rehearse or record with a band. "I've lost the schoolbus, what to do?" Everybody who lives in Xiangshan (Elephant Mountain) campus knows that, in this case, they should take the bus K504. What they probably don't know is that, leaving from the dorm, if you take an alternative route through the mountain, it will take the same 15 minutes, but you get the bus one stop before, and you can get a nice seat right before it gets all packed. Some products I sold to cover printing expenses.